A regular question we get asked by some clients is whether a rush 24 hour passport can be obtained. The short answer to this question is YES, however there are conditions. 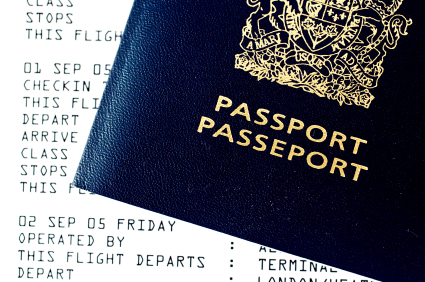 This is a difficult predicament to be in, and even though possible, we always recommend reviewing your passport’s validity and keeping on top of it in an effort to avoid a stressful last minute situation if for some reason you must return home. You cannot enter Canada without a valid Canadian passport, nor can you enter the country with an expired passport, however there are conditions where you can enter the country without the essentials provided you have one of at least two important pieces of identification. A Canadian birth certificate or Canadian citizenship papers. If you were born in Canada, but cannot find your original birth certificate, we can guide you through the process with obtaining one via a Vital Statistics office in Canada, which can be visited online. You can visit our Vital Stats page in our help section for an list of offices in your home province. There are no Canadian passport offices in the United States, and you cannot have a passport issued by a consulate unless it is an absolute emergency. A death in the family constitutes an emergency, and is really the only reason why a consulate would issue you an emergency passport. An important job interview or a family reunion will be declined requests. You can view the list of consulates in the United States here. Keep in mind, that you would be required to visit the consulate personally, and, if you do not have either a birth certificate or Canadian citizenship papers proving you are Canadian, they will not issue you an emergency passport even in the event of a family death. Again, the importance of staying on top of the validity and current standing of your Canadian passport is essential even if you are living in the United States on a full time basis or have been for a long period of time. We tell clients regularly – if there is any reason to return home, keeping your passport in check is one of the best things you can do to avoid a stressful situation. We offer an Executive Level passport service for renewals if you fly into the Ottawa airport, – provided you have a valid passport for entry. Contact us for more information or leave a comment.